10 channels of finest audio gear,driven by only one psu (TAC PSU ONE custom,becomes hand warm only!). Thank you Jens,indeed it is,very nice preamps too,I use them nearly daily. 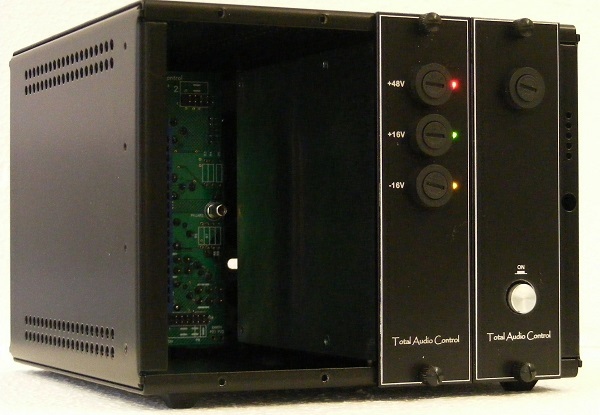 Can power two 11 slot racks (22 modules). Isn`t the vpr spec 130mA pr slot? Does this mean that each of the outputs can power 22 modules, and the whole rack psu can power 44? VPR spec is indeed 130mA. So based on that you can certainly power 44 units. Are there any plans to release any smaller/less expensive PSUs for the 6U and smaller racks? Cemal offers the FB1 and FB2,please see page one here. If you want it even smaller then you might want to go a different route,there are lots if possibilities. I am not sure if you mean the 1U rack mount or the floorbox but if you let me know what your current requirement is then I can put a configuration for you. I can not modify the 1U case itself but I can configure it for a lower power version which offers some savings. 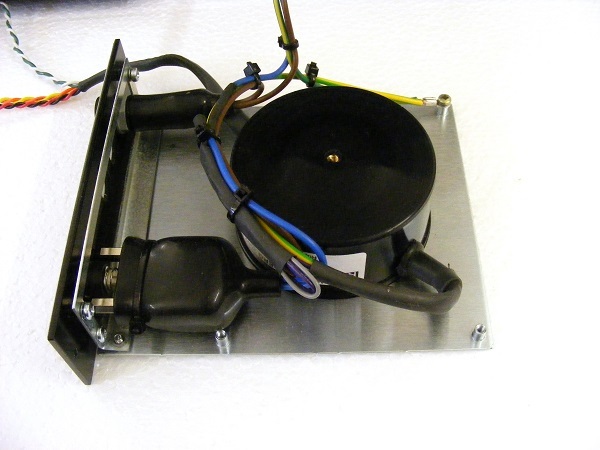 However, I can (and have done for a number of users) trim the floorbox case to make it shorter for a triple output. See attached image. What does the 2nd DB25 connector on the 11 slot do? 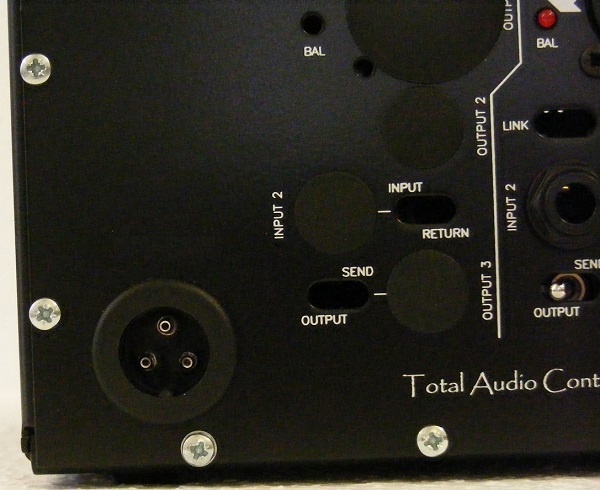 I see the first 8 inputs have DB25 inputs and outputs. But then there is just one other DB25. Is this the I/O for the last 3 channels as in both in and out? 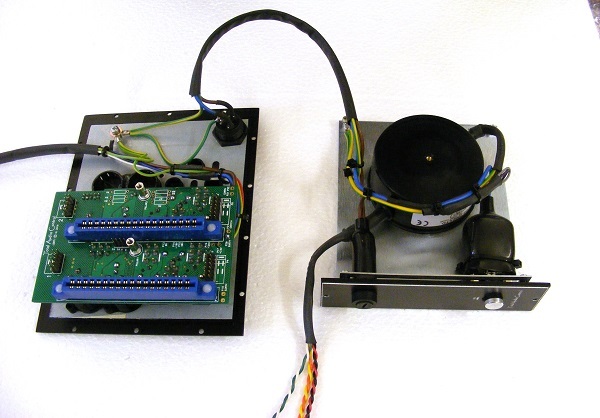 The 3rd one is for slot 9 /10 inputs and outputs. Slot 11 does not appear on SubD25. gotcha! So its also the aux sends/sends&returns for 9&10? Also i don't see the rack mount PSU on your site. Is it still available? You can certainly use them that way for mixer applications. In fact the slot 11 is also designated as the monitor channel and the auxiliary pins are available separately on a 10 way header. Also, although I deliberately obscured it on the rear view picture there is actually an extra hole on the rear panel for a 4th SubD25 connector at the bottom left. We currently supply the built versions on our web site ( that's why the prices are higher) and the 1U rack mount PSU is not there. All the kits are sold through here in the White Market and the rack mount PSU is available as kit. You have my business. Just ordered my final two 500 cards to fill my current rack. Will be in touch to get a 11 slot and rack mount PSU soon! What would the price be for the shorter floorbox PSU? Thanks! The shorter one would be FB1 type with + -16V and +48V for VPR operation. There is no change in the price as there is no change in the number of components used. I have never used this service before. It gives 10 days lead time but I suspect it will be longer than that. Lead time is normally 5 days but again sometimes it takes a couple of days longer than that. Regarding the 6 slots lunchbox. Why do i count 7 slots instead of 6? im counting the mounting holes for modules! No sir, you are right. 1, 3 and 6 slot racks all have one slot space extra. 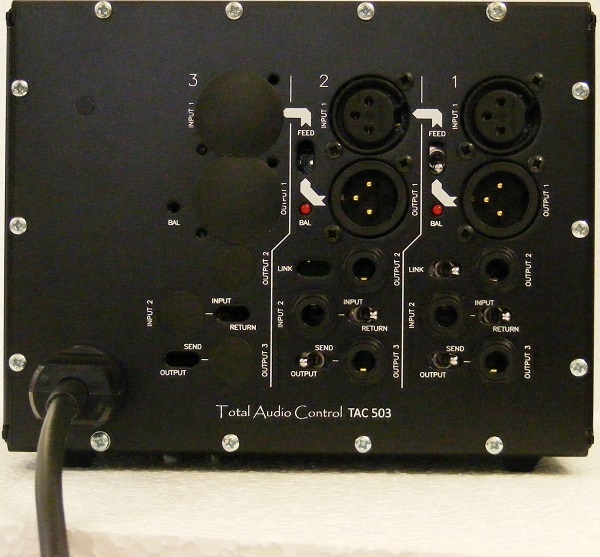 This is firstly for 2 unit wide modules that are mono, such as our EQ ONE, so that they do not take up a usable slot. 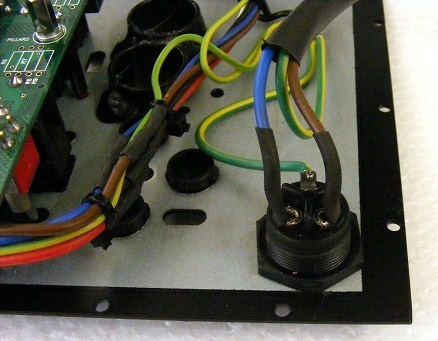 The second is to accommodate the mains transformer for the on board power supply. I have not listed it yet as I have only recently finished it. Wow this looks great ! Any idea for the price and availability? I have split the kit into two parts. This is the essential kit consisting of all of the design specific components, such as the metalwork, heatsinks, fuse holders etc. which I supply. Please note that this consists of two modules. One is the regulator module and the other one is the transformer module. Please note that for UK and EC purchases the VAT will be added. There is no VAT for the rest of the world. Part 2: Active and passive components. 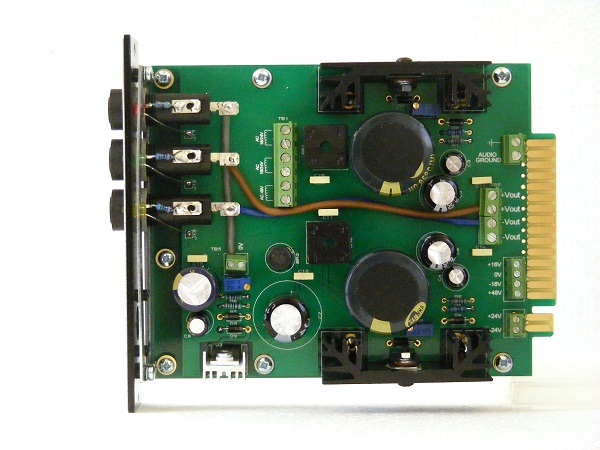 These are the active and passive components which you can purchase locally or may even have in your stock already. For my prototyping I have got the one in the pictures made by Avel Lindberg with 2 x 16V and 1 x 48V secondaries. It is encapsulated, with an internal mu metal band and interwinding electrostatic screen. One off price was GBP 45.00. I will start a build thread in the lab but in the mean time I have cobbled a series of photographs showing the assembly sequence. Link to the images. Here are some general pictures. The transformer shown is for only single slot power. The module can take a larger one to power upto 3 slots but anything above that requires additional slot as the transformer height will increase.